Vanessa Hotel: Compared other Zakynthos Hotels (Zante Hotels). Our hotel in Zakynthos is a recommended hotel with exceptional services, and affordable prices compared to other hotels in Zakynthos according to known websites such as booking.com, tripadvisor.co.uk, trivago.gr etc. You can see for yourself by searching on these websites and many others featuring hotels in Zakynthos. Vanessa Hotel is a popular Hotel, with its traditional Zakynthian architectural design and spacious, comfortable rooms. It is surrounded by a pretty tropical garden and large swimming pool in the center of the grounds. 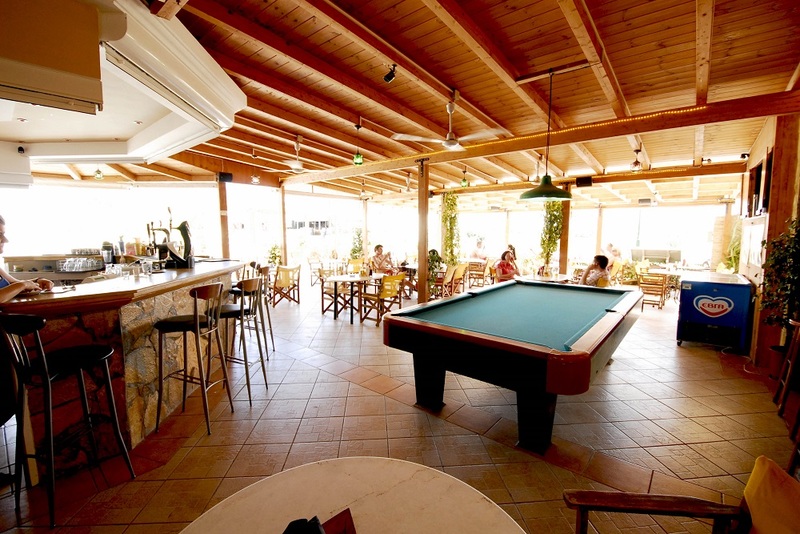 Also, has an outdoor restaurant bar which is located next to the refreshing, clean swimming pool. Each room is fully equipped with all amenities, including full kitchen and balcony. The hotel has been rated one of the best family hotels in Zakynthos (Zante Hotels). Located in the heart of Kalamaki, a famous tourist resort in Zakynthos (Zante) island of Greece, and home to the famous Kalamaki Beach. Kalamaki is an ideal holiday destination for families or couples vacationing in Zante. The restaurant bar offers snacks, small meals, ice cream, refreshments, cocktails, spirits and much more. For your evening entertainment there is a pool table and satellite TV available which features football games and other sporting events. Spend your days in Zante lounging by our pool, at the beach, or exploring the many sights our beautiful island of Zakynthos has to offer. Please feel free to ask reception for suggestions of popular tourist attractions and Zante beaches to visit in Zakynthos, we’d be happy to help! 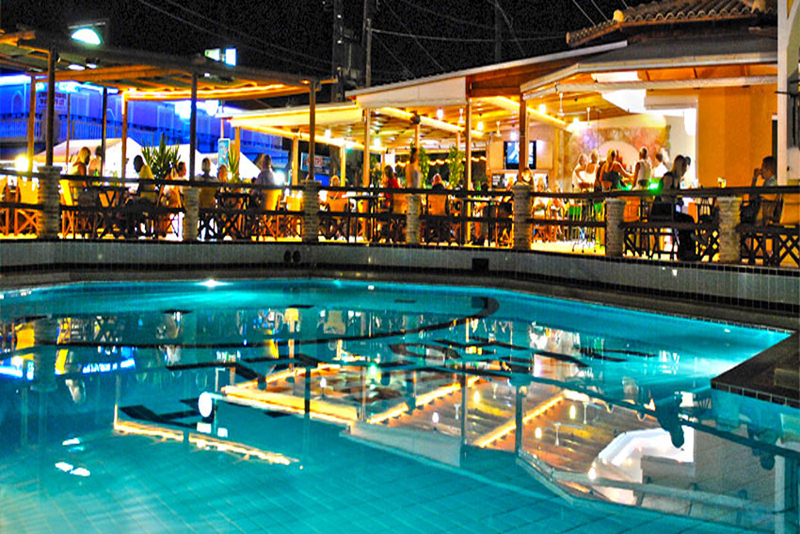 Choose Vanessa Hotel for your Zante accommodations and we promise you an enjoyable and quality holiday in Greece! Our hotel has been rated one of the top hotels in Zakynthos, Greece. Thanks to its great location, quality service, friendly staff, and of course its spectacular facilities. In addition to this it’s one of the more economical hotel choices in Zakynthos, with great value for your money compared to other Zakynthos hotels. Ideal for anyone vacationing in Zakynthos on a budget! Vanessa Hotel is recommended as one of the top Zakynthos hotels for families and one of the best hotels in Zakynthos for couples. There are no hidden charges or taxes. Guests pay only the total cost of the reservation shown at the time the booking is made. All rates include a/c, wifi (throughout the entire hotel including your room), and safe box. We would like to inform you that most of our reservations are for long periods of time and are cleaned every second day. Bed sheets are changed every four days, if you would like to request an earlier cleaning or for any other requests please feel free to ask our receptionist. 3. We Have 2 Rate Types. When making a reservation you have to choose between 2 different rate types. Our first rate type is our "Standard Rates" which means you have free cancellation up until 14 days prior to arrival, and you can pay upon arrival as well. With the second option "Non Refundable Rates" you receive a 10% discount off of our "Standard Rates" but you must pay the full cost of the reservation at the time of booking, and as suggested by the name in the event of cancellation there is no refund. Our rates change according to availability. You can secure the best price at our hotel by booking your room as early as possible. The rates shown for studios and apartments are per day (Not Per Person).